I saw this RealAge test thingy on my friend's blog and decided to play along. Basically it takes into account your lifestyle (nutrition, fitness, etc.) and determines how old you are inside as compared to your actual age. It's kind of fun and if you have a minute, you might want to check it out. My RealAge was 15, seven and a half years younger than my actual age. Speaking of determining general health and wellness levels, my work is offering the most awesome battery of tests ever next month for pretty reasonable prices. Echocardiograms, stroke tests, aneurysm tests, peripheral arterial disease tests, bone density, ECG monitor and body comp. In taper news, I rocked out a 6.5 miler this morning. The weather was awesome, my legs felt great and really it was an excellent boost of confidence going into this weekend's half marathon. Stay tuned later this week for the "race goals" post. hang in there girl. those tests sound really interesting. and your race is going to be here before you know it. Whoa! 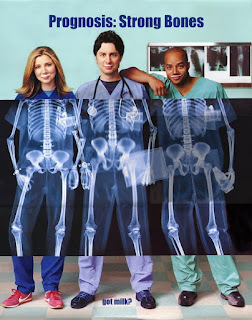 I could totally see that Scrubs chick's pelvis! Now I get to tell all my friends I did her! Know what I call it when I run 6.5 miles? A marathon. Because I put the "rat" in MaRAThon. That's so neat about the real age test! I tried to take it but halfway through, the test kept messing up and having technical errors :( will try again later. Nice job on the 6.5 this morning! I did the real test a few years ago, I should take it again. My "real age" is 21 and I'm 20. Haha. That's so cool about the tests at work. I would love to have those; osteoporosis runs in my family so it sure would be good to know. My real age is 20 and I'm 26. That's such an awesome website. My mom's addicted to it! Ohhhh I've done that thing before. My real age is around my real age :-/ LMAO! 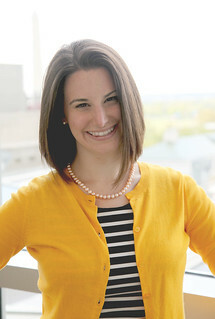 anyhow, glad to have found your blog - it looks fun! i'm reading now! definitely take advantage of those tests! Way to rock out that 6.5 miler! Woot! Good luck wit the HM! Those tests are so interesting to me. Good luck, and you'll have to report back your results. Hey! Love the layout/look/feel! Totally LOVE the pic in the header! I know I'm "late to the game" with these comments, I've been MIA in blogland. Looks like everything is going great on your end!!! Keep it up!